This is my style of paradise. Chances are, if you’re looking for an all inclusive option, you’re also looking to keep your transit logistics as simple as possible. Less time getting to and from the resort = more time sipping a bev, and spying on sloths! Just 20 minutes from the airport, the trip to and from Secrets Papagayo is easy. The benefits to getting there quickly are a given, but I also love a short commute because you don’t have to feel like the only thing you’re doing on your last day is getting back to the airport. Even with a 3:30 or 4pm flight, you could still wake up, relax, pack, and have some lunch before you leave! Let’s talk about the beach – if you’re thinking that the sand looks a little dark compared to the white sand beaches you’ve seen in the Caribbean, you’re not crazy. The resort is awesomely located on a stretch of black volcanic beach, typical of Costa Rica’s northwestern coast. Costa Rica is unique, and so is this Secrets Resort. If you’ve stayed at a Secrets property before and loved it but are looking to switch things up a bit, you could still stay here and accomplish that. The main lobby has two things I love – color and character! If you’re planning to stay Preferred Club to take advantage of things like priority check in and check out, upgraded minibar and bath amenities, and quick access to snacks, this is your Preferred Club Lounge. What you should do: find a comfy seat at the bar, order every top shelf martini on the menu and a few that aren’t, and have yourself a personal tasting outside! 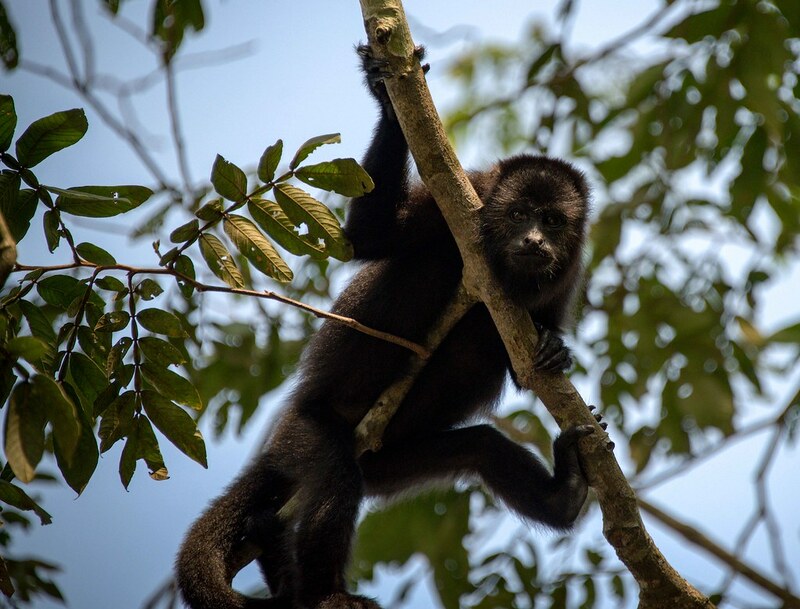 While you won’t hear crickets, you might see a few howler monkeys and lemurs! There are a few families of them that make their way around the area, so sightings are pretty frequent. In case a good massage and mani pedi has you more interested than wildlife sightings, fear not – the spa is wonderful. Whether or not you’re doing a spa treatment, make sure you at least take advantage of the spa pool. If the main pool area gets crowded during the day and you’re in the mood for some tranquil relaxation, this is the spot. With a view of the ocean! The Preferred Club Honeymoon Suite – check out the view from the bathroom! The Presidential Suite – love the completely open air feel of this. There’s so much room outside, with an awesome private plunge pool. Enough rooms! Back to the rest of the resort for a few final pictures. The Manatee Bar is attached to the Seaside Grill, both poolside. Having a restaurant right in the pool area is a huge plus. So long as you have some sort of cover up with you, you can hop right out of the pool and grab lunch without having to make it a huge deal and go back to the room and get ready, move all your stuff..etc. I can’t show you everything or it will ruin the surprise! Want to know more and get some help deciding if this is a good fit for your trip?